The final race of 1982 was held on a track that had been laid out with concrete blocks in the car park of the Caesars Palace hotel in Las Vegas. 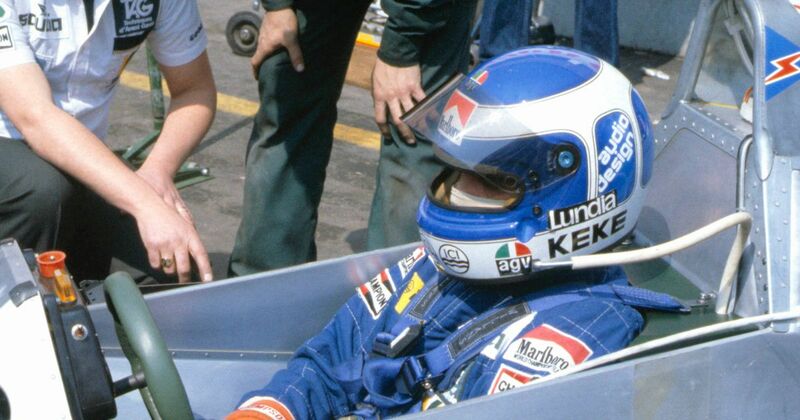 Michele Alboreto took a surprise win for Tyrrell, making it a record 11 different winners in the season. Keke Rosberg finished fifth which, with John Watson second, was more than enough to give the Finn his first and only drivers’ championship. Ferrari secured the constructors’ championship even though Patrick Tambay missed the race with a trapped nerve and Mario Andretti (in his final grand prix) failed to finish. Held at Brands Hatch, Nelson Piquet won from Alain Prost to close to within two points of the Frenchman’s championship lead. René Arnoux finished a distant ninth and although he’d still have a chance at winning the title, he was eight points behind Prost, he’d need a lot of luck at the final race in South Africa to manage it. This race was also the scene of Toleman’s first and only double points-scoring finish in F1 as Derek Warwick finished fifth with Bruno Giacomelli sixth. One place where there was plenty of happiness was at March. The Adrian Newey-designed 881 was perfectly suited to the track to the point where during practice, Prost was following one through the long Parabolica corner and backed off - he thought the car was going so quickly that it was going to crash! In the race, Ivan Capelli utilised the car’s speed to finish an excellent second, just 9.5 seconds behind Prost’s all-conquering McLaren MP4/4. Capelli might have even had the pace to win had he not seen his teammate stranded at the side of the road and backed off, not wanting to suffer the same fate. In the last race to date which had no former world champions in the field, Damon Hill led home David Coulthard for the first British driver one-two since Graham Hill and Piers Courage in the 1969 Monaco Grand Prix. Fernando Alonso broke Emerson Fittipaldi’s 33-year-old record to become the youngest-ever World Champion aged 24 years and 59 days. 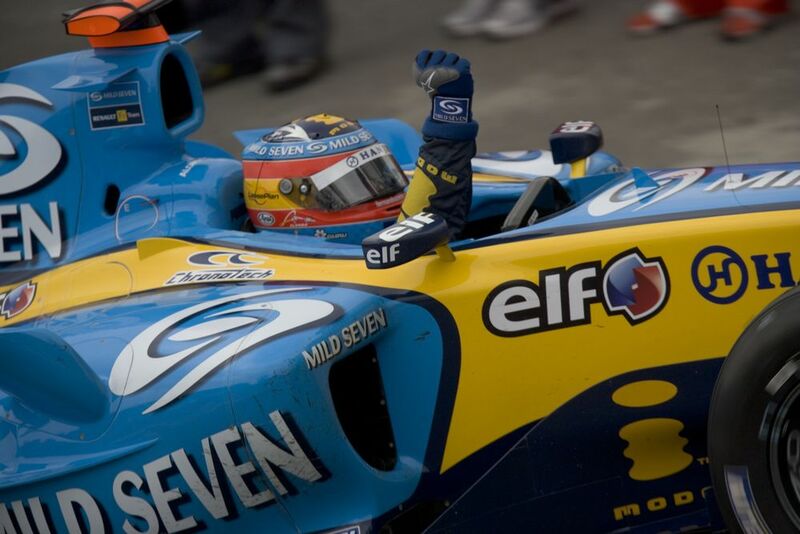 He finished third whilst the two McLaren’s fought it out at the front, with Juan Pablo Montoya beating Kimi Raikkonen for what would be the Colombian’s seventh and final victory. 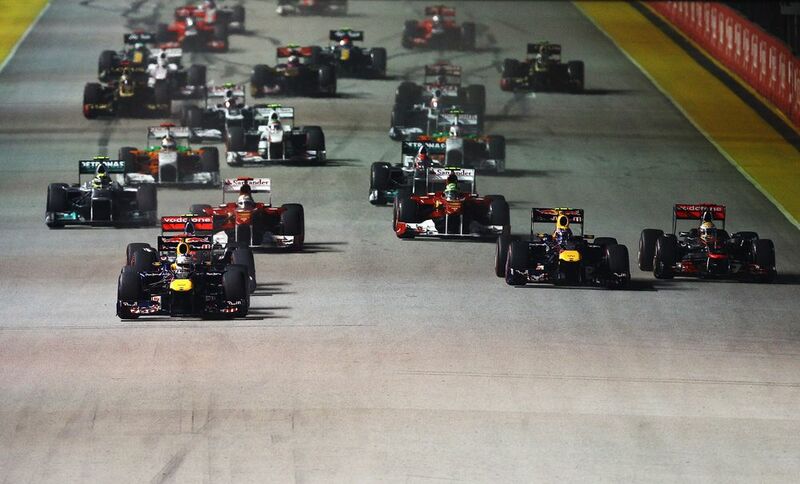 Sebastian Vettel saw off Jenson Button to win his ninth race of the season, but the drama was a little further back. Lewis Hamilton’s horrible season continued when he messed up an overtake on Felipe Massa which left the Ferrari driver with a puncture. Hamilton got a penalty for it and after the race, Massa couldn’t resist sarcastically saying “Good job, bro!” to Lewis, who did not take kindly to it. Neville Lederle (born 1938) scored a point in his one and only race, the 1962 South African GP. He entered the same race again in 1965 but failed to qualify - probably because he was still driving the same outdated four-year-old Lotus 21. 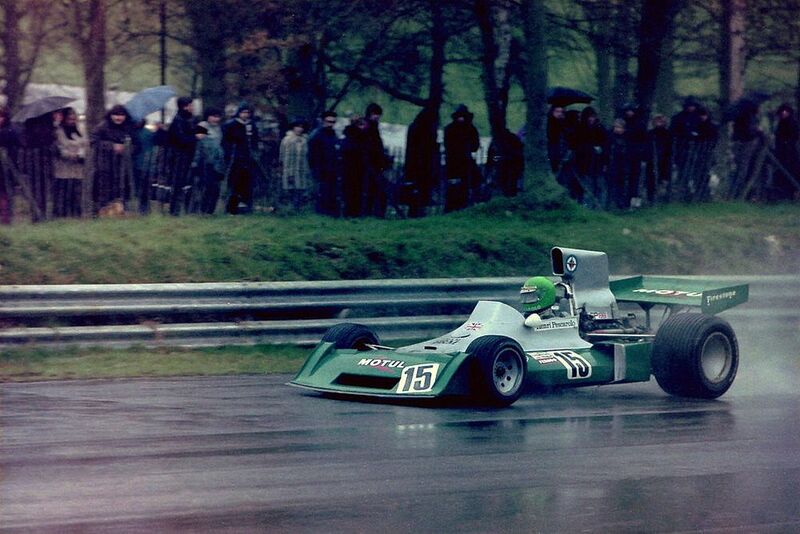 Although best known for his incredibly long and successful sportscar career, Henri Pescarolo (born 1942) also had a fair old crack at F1 between 1968 and 1976. He best season came driving for Matra in 1970, finishing third at Monaco and scoring points elsewhere to finish 12th in the championship. The rest of his career wasn’t as successful thanks to spending most of it driving uncompetitive March, BRM, and Surtees chassis. Alexander Rossi (born 1991) was on the fringes of F1 for a while and finally got his chance with Marussia at the tail end of 2015. He was impressive, too, quickly getting on top of his more experienced teammate Will Stevens, but couldn’t find a race seat for the following year and went off to be very successful in IndyCar.